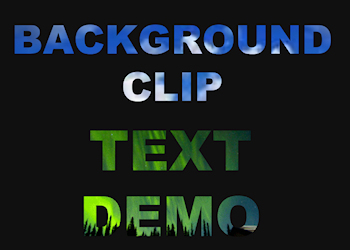 This (free) extension implements background clip for text. Also known as ‘knockout text’. Clip Text uses the non-standardized ‘-webkit-background-clip: text’ property. Although it seems to work with all modern browsers (not IE!). The extension supports two background modes: image and gradient. The background image position can also be animated.